FRANKFURT -- Li Shufu, owner of Geely Automobile and Volvo Cars, stayed away from commenting on speculation that he is expanding his footprint in Europe with an investment in Mercedes-Benz parent Daimler. Europe is playing "a very important role for the development of automotive brands under our leadership," Li said Thursday in a video statement at the CAR Institute conference in Bochum, Germany on Thursday. "Building up brands in the European market has been the goal from the start," he said. Li's appearance at the industry gathering drew close scrutiny after Handelsblatt last week reported his company bought shares in Daimler. The purchase would mark another step up in a broad acquisition spree of industry stakes and brands. 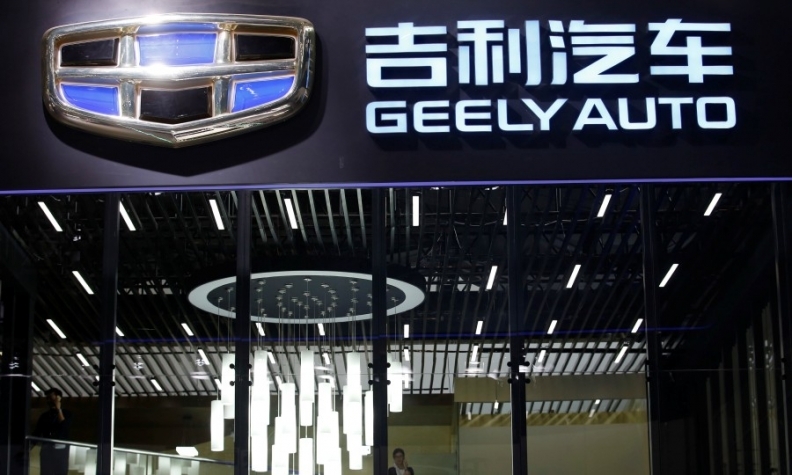 Li's Zhejiang Geely Holding Group in December spent $3.9 billion to become the biggest shareholder of Volvo AB, the world's second-largest truckmaker. Prior to the deal, reports surfaced Daimler rebuffed an approach to sell a 5 percent minority stake to Geely's parent at a discount. Li's ambition to expand to Europe started with the 2010 acquisition of Volvo Cars from Ford Motor, defying skepticism to revive the ailing brand with a fresh lineup of SUVs. Last year, he won control of British sports-car maker Lotus, and in 2013 purchased Manganese Bronze Holdings, rescuing the maker of London's iconic black cabs after it entered administration. The Chinese automaker also plans to introduce to Europe its new brand Lynk & CO, which has started sales in its home country. "Together we want to bring the auto industry to the next level," Li said in the translated statement. Daimler has said it would welcome any long-term investor buying shares on the open market, declining to comment specifically on Hangzhou-based Geely. Li started out making refrigerator parts and later turned Geely into one of China's biggest privately-owned automakers. Demand growth in China, the world's biggest car market, is cooling after years of rapid expansion, moving the focus to different parts of the world. Geely, facing industrywide pressures in the switch to electric and self-driving vehicles, is "very open" to cooperation, Carl-Peter Forster, who sits on both Geely and Volvo's boards, said at the Bochum conference. Geely is already benefiting from sharing technology across the group and purchasing locally in China, he said. "The entrepreneurial responsibility remains with the individual company," the former head of General Motors’ European operations and Tata Motor’s executive said, labeling "speculative" the reports about Daimler share purchases. "When you plan future investments, you might realize that it doesn't always work on your own."